Often professional services are provided through companies. Typically, a company would employ an individual who would provide professional services to the company’s client/customers/patients. We understand that the Comptroller of Income Tax (“CIT”) has been scrutinising such business structure arrangements with a view to determining if such arrangements are tax avoidance arrangements. Where the CIT concludes that this is the case, the CIT would seek to counteract any tax savings arising from the arrangement and may seek to impose a penalty. A company may qualify for several tax advantages as follows. The SUTE applies to newly incorporated companies. For qualifying companies, in the first three years following incorporation, the first $300,000 of chargeable income would enjoy exemptions from tax (first $100,000 fully exempt; next $200,000, exemption of 50%). The PTE scheme applies to all companies; under the scheme, the first $10,000 of chargeable income enjoys 75% exemption from tax, while the next $290,000 enjoys 50% exemption from tax. The top marginal personal income tax rate is 22%, compared to the corporate income tax rate of 17%. Companies were offered corporate tax income tax rebates of 20%-50%, capped at $10,000- $30,000 from YAs 2013 to 2019. 3) “Re-incorporating” a company to take advantage of SUTE for another three years. 5) Restructuring of business such that a doctor provides medical services through a company (with no change in business). (vi) How income is attributable, before and after setting up of new companies. In particular, the CIT seems to have applied the FAR framework when assessing business structures. Essentially, the CIT will examine if there is a distinction between the companies and entities and whether there are genuine commercial reasons for the different companies and entities. Where there are genuine commercial reasons for the business structures and this can be justified to the CIT, the CIT would not take the view that there was tax avoidance. Conversely, where a medical practice is carried out through several companies and entities and there is no discernible reason for so carrying out this arrangement, the CIT may regard the arrangement as a tax avoidance arrangement. Generally, the CIT is empowered under section 33 of the Income Tax Act (Cap. 134, 2014 Rev. Ed.) (“ITA”) to make any tax adjustments where he is of the view that the purpose or effect of any arrangement is directly or indirectly to avoid, reduce or alter the incidence of any tax payable. Further, the CIT has indicated that where he is of the view that the arrangement is very aggressive from a tax planning perspective, the CIT apart from seeking to impose additional tax, may seek to impose a penalty under section 95 of the ITA for income under declaration/ wrongful claim of expenses and/or section 96 of the ITA for tax fraud. Taxpayers should ensure that where there is tax savings from a business structure, every aspect of the structure will need to be commercially justifiable, otherwise there is a risk of the structure being impugned by the CIT. If you need any advice on tax matters, you may request a quote from Liu Hern Kuan or get a Quick Consult with lawyers of similar expertise for a transparent, flat fee and expect a call back within 1-2 days to get your questions answered. 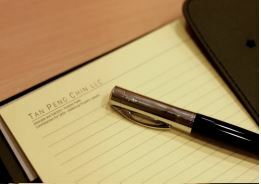 This article is written by Liu Hern Kuan from Tan Peng Chin LLC and was originally published as a client update. 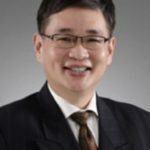 Hern Kuan has wide experience in Revenue Law, having lectured in it at the Law Faculty in NUS, practiced as a tax manager in Big-4 accounting firms and as head of tax in a major law firm. He was also the Chief Legal Officer of Singapore’s national tax authority, the Inland Revenue Authority of Singapore, for some 10 years. Hern Kuan’s practice includes transactional tax advice spanning Income Tax, Goods and Services Tax, Property Tax, Stamp Duty and International Taxation; and includes tax disputes with the Inland Revenue Authority of Singapore (IRAS). He has successfully represented the Comptroller of Income Tax, the Commissioner of Stamp Duties and the Chief Assessor and Comptroller of Property Tax in several leading court cases. He advises clients on tax planning and structuring, both domestic and international tax, and both civil and criminal disputes with IRAS. He has presented many seminars on tax law and was an associate staff lecturer on tax planning and international tax at SIM university. In 2017, he successfully argued a case against the Singapore Comptroller of Income Tax, persuading the Income Tax Board of Review that gains made by his client from the purchase and sale of shares should not be subject to income tax.